Dieter Russmann is a board certified urologist with sound expertise in urology, nephrology, general surgery, oncology, gastro-enterology and clinical pharmacology. 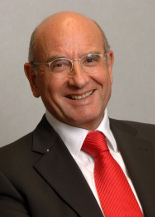 His industrial background includes serving as advisor to companies and health ministries, as well as leading scientific boards. His expertise in generics and biosimilars is unique. He has a deep knowledge in drug and device development, regulatory strategy, drug safety, and is an experienced GCP auditor. Dieter is a proven business developer, with an extensive network in industry and academia, payers and politics.